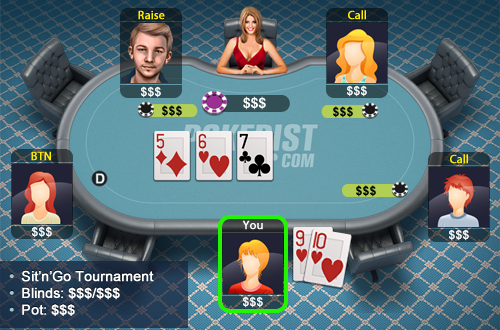 You are playing a Sit’n’Go tournament and you have called pre-flop with 9♥10♥. The flop comes down 5♦6♥7♣. One of your opponents bets ½ of the pot and the rest call.